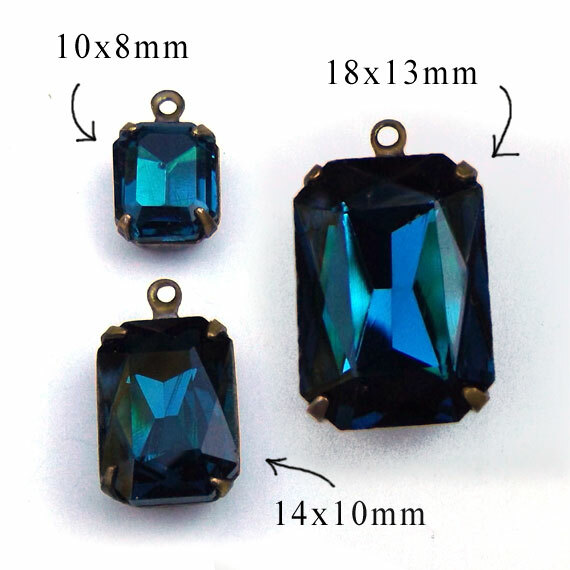 I recently got in some new blue zircon rhinestone octagons in petite 10mm x 8mm size. These are perfect for glass connectors in two-ring prong settings – they’re also adorable small pendants and earring drops. And this gives you a size comparison for the three sizes I have in stock.